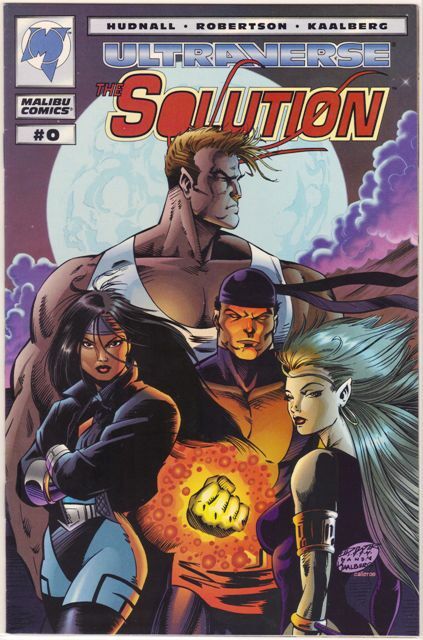 This entry was posted on Tuesday, July 5th, 2011 at 10:50 am	and tagged with Rune, Solution, Ultraverse and posted in Premium books. You can follow any responses to this entry through the RSS 2.0 feed. 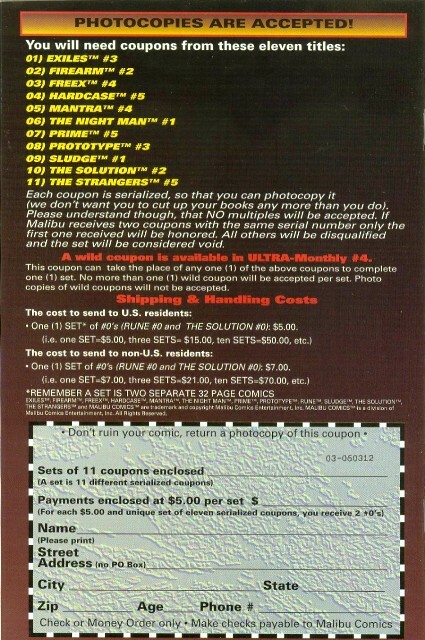 The Rune 0 story was also partially reprinted in the Spin magazine Special that came bagged with Spin Magazine though I can’t remember which issue though. Thanks Bruce … I’ve already written that post, just have some other stuff to put up first. I have the ad for the Spin deal; the magazine pictured has Tori Amos on the cover but I don’t know if that’s the one that had the comic. The idea to hit up Spin came from, I believe, Andrew Cosby (now a TV producer – Eureka – and co-founder of Boom! Studios) in Malibu’s marketing dept. 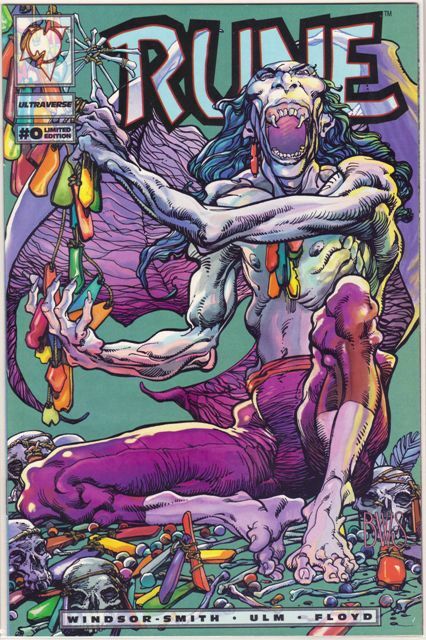 He pursued it and originally pitched Howard Chaykin’s Power & Glory (the Bravura title) for the insert, but Spin ultimately thought Rune was closer to their audience. 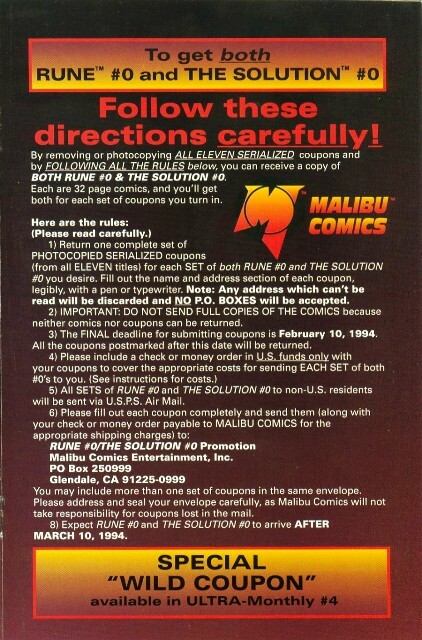 John Riley, also in Malibu’s marketing department, headed up the effort to sell the interior ads which paid for the printing of the comic and Spin picked up the insert/bagging costs.